Want to Start a Business or Launch a New Product? Strategically exposing hidden dangers of the marketplace. Providing intimate knowledge of your customer. Conducting the feasibility study necessary to secure financing for your business. Establishing the best advertising channels to promote your business and expand reach. 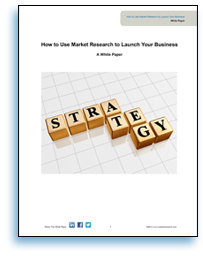 Also, learn how major corporations, like Kellogg Co. and the Coca Cola Company, use market research to fuel their multi-billion dollar empires.